United Airlines has dropped the price of their flights from Vancouver to Cancun, Mexico down to $324 CAD roundtrip including taxes. The flights have 1 stop each way, in San Francisco, for 1-2 hours. 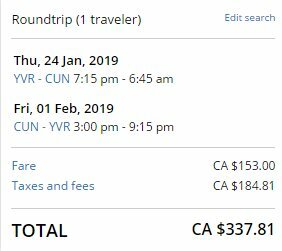 Interjet, with their non-stop flights from Vancouver to Cancun, has occasionally had better deals than this, but United does have a fairly high number of dates available for late fall 2018 and winter 2019 travel at the moment. - Look for the dates that are $340 roundtrip. 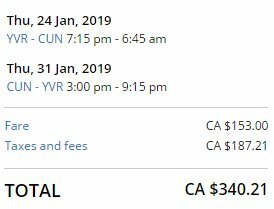 Update 5/22 - Flights from Vancouver to Cancun, Mexico are available again for $340 CAD roundtrip including taxes on dates in January, February, and March 2019. 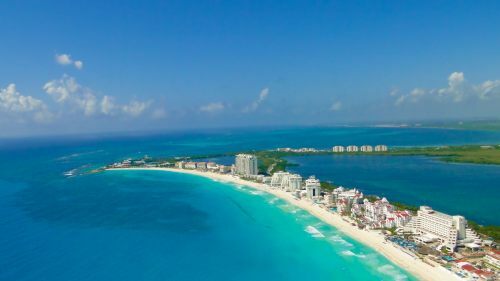 Update 7/8 - Flights from Vancouver to Cancun, Mexico are available again for $337 CAD roundtrip including taxes on dates in January, February, March, and now April 2019.
vancouver, yvr, mexico, flight deals, cancun, cun, united airlines and north america.